Sensei Carol Marrington is a Sandan (3rd degree black belt) and the current Chief Instructor at Ukiah Aikido. Sensei Carol has been training Aikido since 1987 and was Uchi Deshi to Sensei Gayle Fillman, founder of Ukiah Aikido, for 18 years. Sensei Carol currently teaches beginning and advanced class on Monday and Wednesday nights. Sensei Cora Saxton is a Nidan (2nd degree black belt) and has been training in Aikido since 2002. Sensei Cora teaches the youngest children's class and feels that it is wonderful advanced training and tries to make sure everyone gets something from the class. Sensei Cora teaches on Monday nights. Sensei Owen Lawyer is a Shodan (1st degree black belt) and has been training intermittently since taking Sensei Gayle's children's class in 1985 as a four year old. 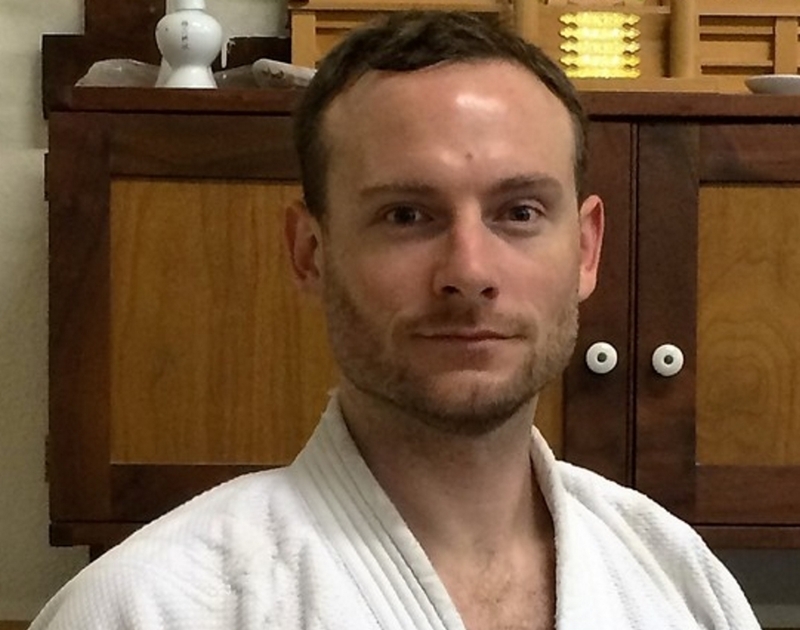 In addition to teaching Aikido classes, Sensei Owen is carrying on Sensei Gayle's Legacy of using Aikido Practice to treat mental health issues. Sensei Owen is Licensed Marriage and Family Therapist and incorporates principles of Aikido into his therapy with individuals and leads therapeutic Aikido groups as a treatment for children with mental health issues. Sensei Owen teaches both the children and adult Aikido classes on Thursday nights. To learn more about therapeutic Aikido Click Here. Sensei RandyDurnil is a 1st Kyu. He has been training Aikido for 11 years and teaching children's classes for 7 years. In addition to his Aikido training, Sensei Randy has experience training in other martial arts including 9 years of Judo and 5 years of Taekwondo. Sensei Randy is currently on leave.